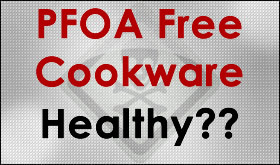 With all the hard anodized aluminum cookware on the market, is it considered safe cookware? You’ll be surprised to know where you can ingest aluminum. Aluminum is lightweight, a great heat conductor, and generally inexpensive. Since normal aluminum is reactive with food and known to be toxic, anodized aluminum with its electro-chemical treatment, has become the standard for aluminum cookware. Because it is still aluminum, questions remain about its safety. In this article, I expand on a previous article on safe and healthy cookware where I first addressed the safety issue of anodized aluminum cookware. This article was updated on October 12, 2017. “Hard-anodization is an electro-chemical process that hardens aluminum. (Hard-Anodized aluminum is 30% harder than stainless steel.) During hard-anodization, aluminum is submerged in an acid bath, then subjected to electrical charges. The result is a chemical reaction wherein the surface of the aluminum combines with oxygen to become aluminum oxide. This reaction is also known as oxidation, a process which occurs spontaneously in nature. Hard-anodization is actually controlled, accelerated oxidation. Hard-anodized surfaces resist abrasion and corrosion. A hard-anodized pan is the most durable pan you can buy. Anodized materials have an extremely long life span. Anodized surfaces do not chip or peel. In fact, anodized aluminum is used to protect satellites from the harsh environment of space, to harden automotive racing parts against friction and heat, as well as for display cases, coolers, and grills for the food industry. An anodized finish is chemically stable. It does not decompose. It is nontoxic. High heat levels will not damage the anodized finish. Anodized surfaces are heat-resistant to the melting point of aluminum (1,221°F). Aluminum and our health was brought to our attention in the 1970’s when a Canadian research team linked aluminum with Alzheimer’s Disease when they found high concentrations of aluminum in the brains of Alzheimer’s patients. Since then, the research has been scrutinized in a manner similar to the chicken and the egg story. Which came first, the disease or the aluminum? Foods such as processed cheese and cakes may contain moderate amounts of aluminum as a result of its addition during processing. People are exposed to aluminum in some cosmetics, such as deodorants, and in pharmaceuticals such as antacids, buffered aspirin, and intravenous fluids. Antacids have 300–600 mg aluminum hydroxide (approximately 104–208 mg of aluminum) per tablet/capsule/5 milliliters. Buffered aspirin may contain 10–20 mg of aluminum per tablet. Vaccines may contain small amounts of aluminum compounds, such as aluminum hydroxide, aluminum phosphate, or aluminum sulfate (alum). Factory workers who breathe large amounts of aluminum dust can have lung problems, such as coughing or changes that show up in chest X-rays. Some workers who breathe aluminum dust or aluminum fumes have decreased performance in some tests that measure functions of the nervous system. Some people who have kidney disease store a lot of aluminum in their bodies. The kidney disease causes less aluminum to be removed from the body in the urine. People may get skin rashes from the aluminum compounds in some underarm antiperspirants. I recommend you to avoid hard anodized aluminum cookware. The issue is not about the small single dose. It is about the cumulative effect it can have. Just like eating a single chocolate bar is not going to cause a serious disease. However, 3-6 chocolate bars a day every day, will have an impact on your body. If most meals are cooked with anodized aluminum frypans, saute pans, sauce pans, and stockpots, the cumulative effect, along with the aluminum you already get from other items in our environment, may cause a health issue. Since the time I originally wrote this article, the cookware industry has made some changes. Today, many cookware products made of hard anodized aluminum are coated with nonstick surfaces. Nonstick surfaces have their own health issues, especially when scratched or exposed to high heat. Even the outside of aluminum cookware is now often coated. This does limit the exposure to aluminum. Beware of these products if the outside nonstick surface is scratched. ALSO NOTE: When baking, I see a lot of baking products made of native aluminum like baking sheets, etc. Aluminum is everywhere. If you are like me and try to eat healthy, the cookware we use is a place where aluminum exposure can be reduced. As a tester of a lot of cookware, I admit I do like the way anodized aluminum cooks. For me, I try to use the healthy cookware materials I mention in my other articles, or the recommended cookware sets above, and pay attention to the surface quality of any anodized aluminum cookware I may use. We may not be able to control the aluminum in our food when we eat out, but it is something we can control at home. In this article, I offered information about how common aluminum is in our environment, and how dangerous it can be if too much accumulates in our body. By itself, the aluminum leached from a single cooking with anodized aluminum cookware is not harmful. The caution is in the accumulation of aluminum not only from cookware, but also from other sources already in our environment and other products we may consume.